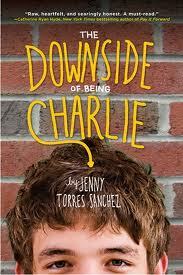 Last Thursday I went to the book launch of THE DOWNSIDE OF BEING CHARLIE by Jenny Torres Sanchez. 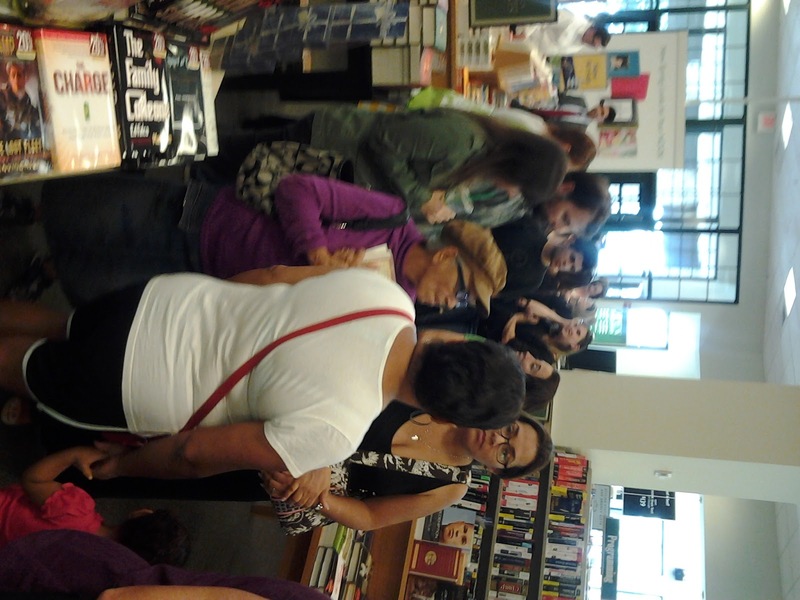 It was held at Barnes and Noble over by University of Central Florida and the place was packed. When I arrived, my writing buddies, Jess and Larissa, also drove up and the three of us joined the long line to get our autograph copy of THE DOWNSIDE OF BEING CHARLIE. Unfortantly we arrived five minutes late so we missed Jenny’s little speech on what inspired her to write the book. But we did get our autographed copies (they were going fast!) and we snuck in a picture with her. 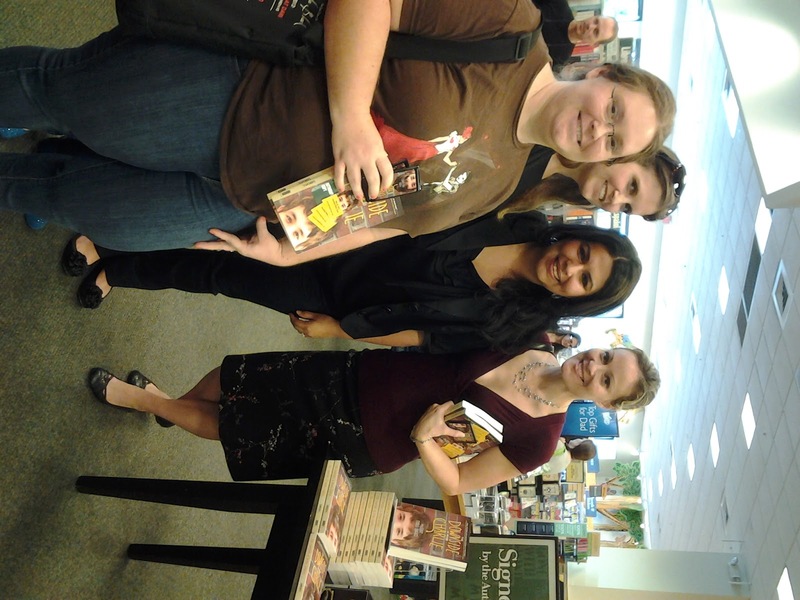 We hung out at the store for a while and got to chat with some other writers from the area and talked about… writing. Of course. 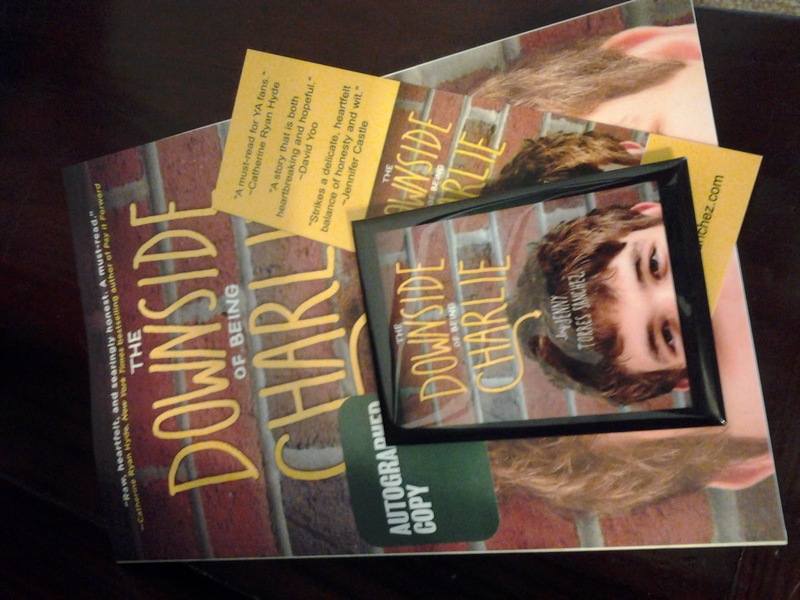 I’m so excited about this book that I’m giving away an autographed copy, a bookmark, and pin. Just fill out this rafflecopter form before May 27th. Looks like a great book! Congratulations. Sounds like a fun event, Christy! This book sounds really intriguing. How fun! Looks like a great book and a great event! Sounds like a great book with an awesome voice! Thanks so much for recommending it. I love Jenny and her book. 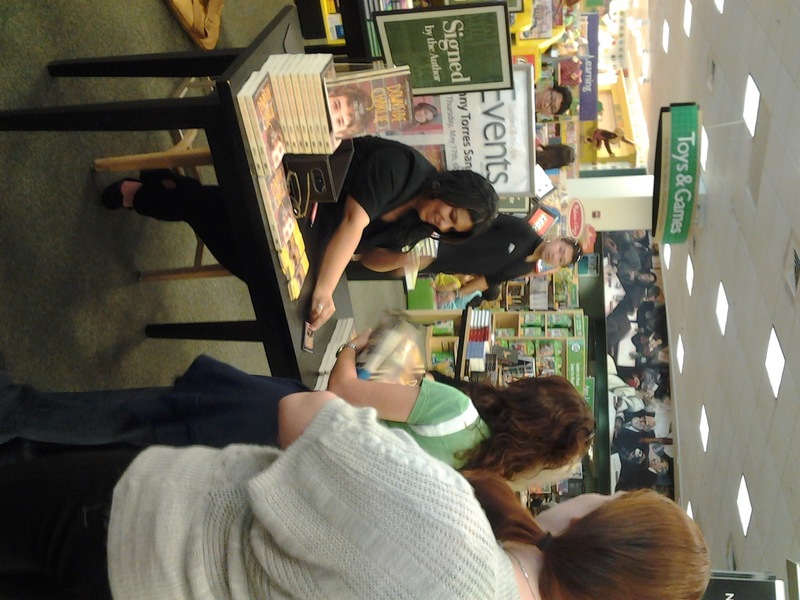 So jealous you got to go to her launch! Sounds like a super event. It’s great you got to go. It really was so much fun. I love book launches! Wish there were more nearby.